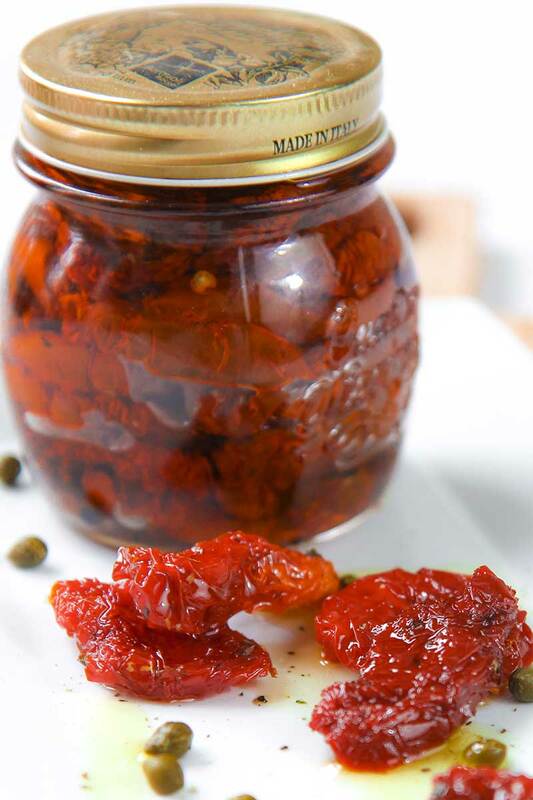 The best tomatoes for the sun dried tomatoes sauce are the preserved in oil. If you desire to prepare them by yourself, click here and read my recipe ;-). 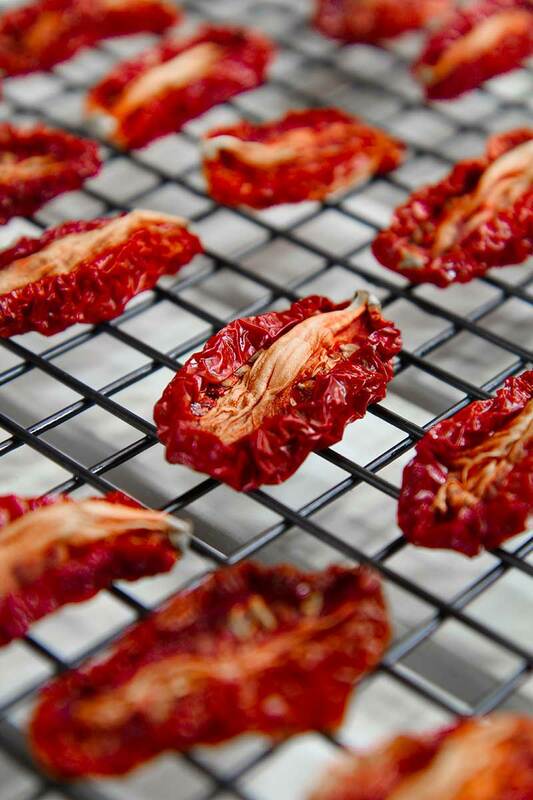 Is possible to prepare the sauce with the sun dried tomatoes conserved in salt as well. In this case, soak the tomatoes in warm water for 30 minutes, then dry them and conserve in olive oil for a couple of days before making the pesto. Drain the sun dried tomatoes from the oil. 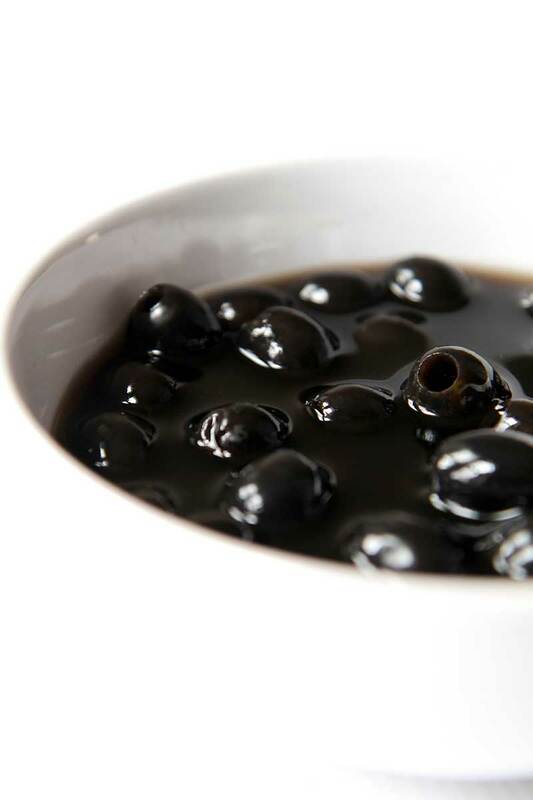 Pour the tomatoes into the blender, along with the clove of garlic, ½ tbsp capers, 3 oz black olives, the leaves of a sprig of fresh oregano, 1 tbsp pecorino cheese, the cayenne pepper, 4 tbsp extra virgin olive oil, and 4 tbsp of very cold water. Blend all the ingredients until the mixture is similar to a paste: smooth, but not washy. 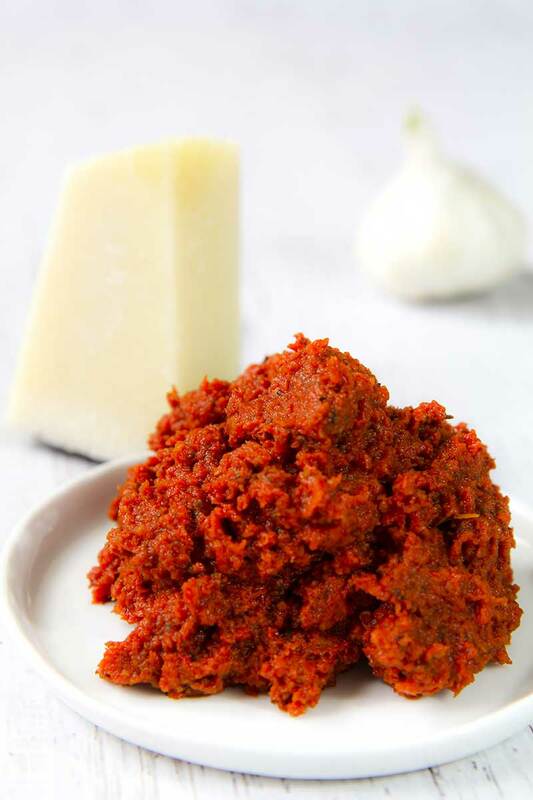 If the sun dried tomatoes sauce is too thick, add water as needed, and blend again. Pour 6 qt of water into a pot, along with 4.5 tbsp of cooking salt. Place the pot on high heat. When the water starts to boil, pour the spaghetti. Set the heat in order to the water simmers vigorously. 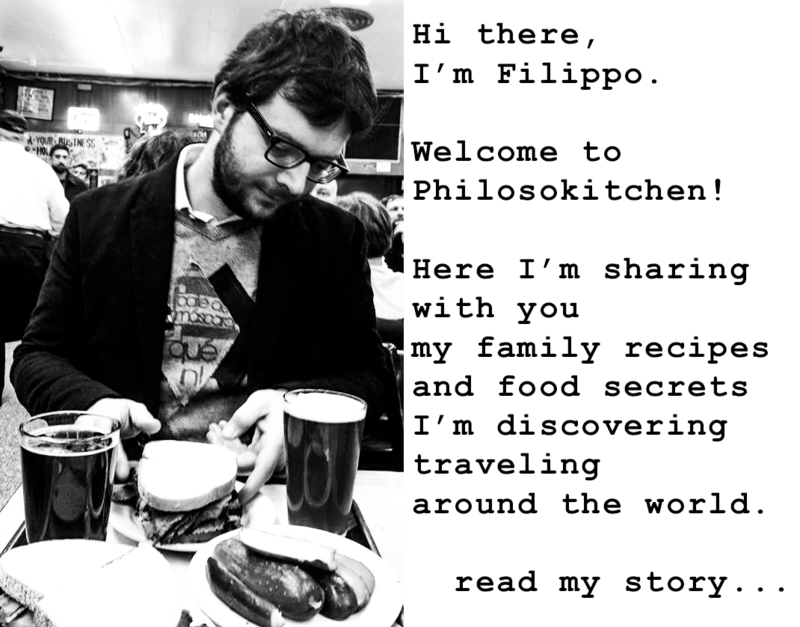 Meanwhile the pasta is cooking, prepare the bread crumbs. Pour a couple of tbsp of olive oil into a small pan and place it on the oven at high heat. When the oil is hot, but not smoking, pour the bread crumbs. Fry the crumbs stirring frequently. 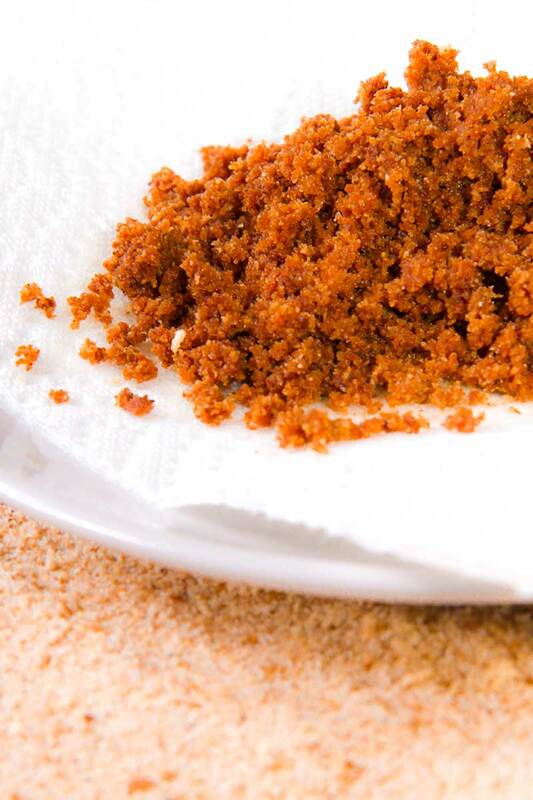 When the bread crumbs are crispy, drain and let them to rest over paper towel. 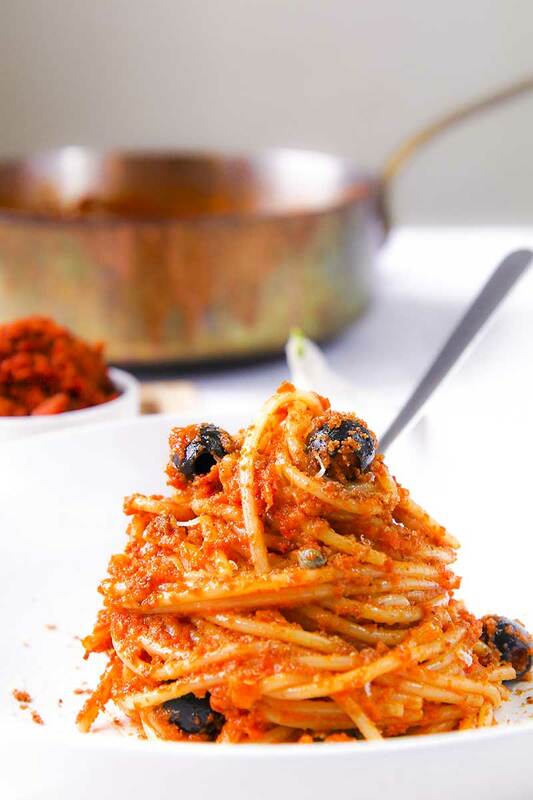 When the pasta is cooked “al dente”, drain and pour the spaghetti into a sauce pan, along with the remaining olives and capers, and 2 tbsp of olive oil. 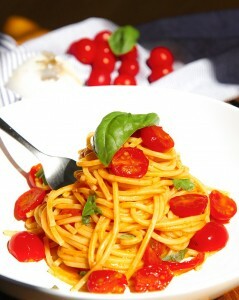 Toss the pasta over high heat for a minute, then pour the sun dried tomatoes sauce. Stir-fry until spaghetti and sauce is well amalgamate. Finally, serve very hot!